India decided to drop Mithali Raj and bat first on a turning wicket which was later nullified by dew rendering their spinners ineffective as they bow out of the World T20. What does one do with their most experienced T20 player going into the World T20 semi-final? It's simple. They play her! Similarly, when one's team is the best spin bowling line up in the world and they are expecting dew to play a part in the second innings, one wins the toss and elects to bowl; definitely not bat. 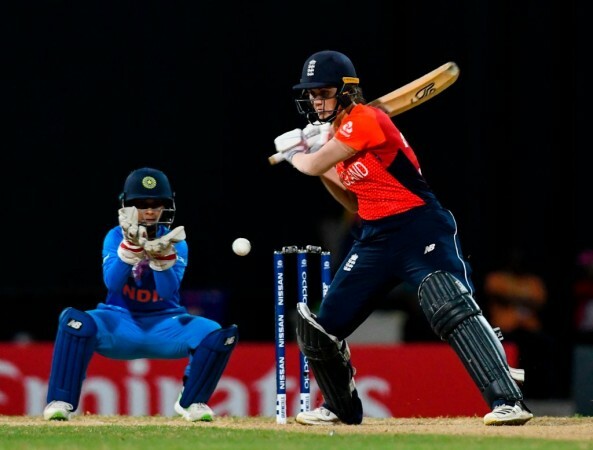 These two inexplicable decisions, to drop Mithali Raj and bat first after winning the toss, led to the downfall of the Indian Women's Cricket Team as the English women thrashed them en route an eight-wicket victory to reach the final of the Women's World T20. The Indian batting line-up has faltered this World Cup with very little contributions from anyone besides Raj, skipper Harmanpreet Kaur and Smriti Mandhana. Raj basically scored a fifty every time she came out to bat in this World Cup but didn't find a place in the 11 in the country's biggest game of the tournament. The 35-year-old is India's highest run-scorer across all formats and has been the team's batting lynchpin for the better part of two decades. Even in this tournament, she won player of the match against Pakistan and Ireland before picking up a slight knock to miss the last group game against Australia. It was clear that Raj had recovered from her injury and thus the only excuse the team management could come up with was the mantra of 'winning combination'. "See we were going with the winning combination. We did well against Australia and that is the reason we just wanted to go with the same combination," Kaur said about Raj's omission in the post-match press conference. Kaur's words would offer just reasoning had Raj dropped out of the side because of bad performance. But considering India won the first three matches with a performing Raj in the side, it is baffling that she was left out of the semi-final; thus, in principle, going in with only two performing batters. India has now collapsed thrice in big games in the space of 17 months, but this time they didn't even give themselves a chance. "I think first innings, there was turn on the wicket and the ball was turning also. In the second innings, I think the dew factor was there. I think just because of the dew, the ball didn't turn much but there is no excuse because we wanted to bat first, that's why we choose to bat first. But I think we didn't set decent total on the board," said Kaur when quizzed about the wicket suddenly not assisting spinners when India was bowling. It was quite obvious that dew would set in given Antigua's positioning in the Northern Hemisphere where it is winter. Thus, batting first in a night game as a hard and fast strategy with just one frontline seamer in the team exposes a serious lack of practical thinking in the dressing room. While Indian spinners were largely ineffectively with a wet ball, earlier in the night, the England spinners took advantage of a wicket that stopped and turned, taking 5 of the 7 wickets India lost to the English bowlers. The 3 others were run outs. Notwithstanding Kaur or Kohli, misreading the pitch, it seems, is an issue plaguing every Indian international team.